Following the NA & EU Playoffs Quarterfinals, we're back with a new edition of This Week in eSports! 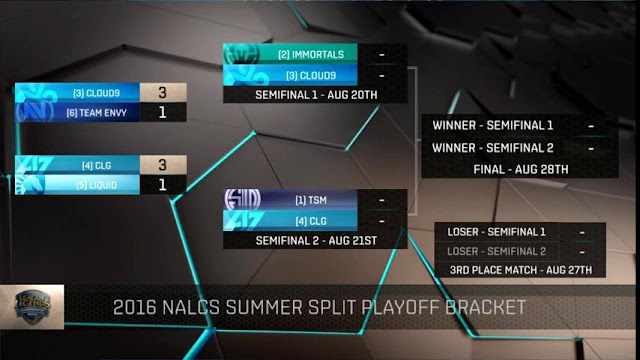 Quarterfinals for NA and EU were this weekend, and we now know which teams for NA are moving on to the semifinals Unfortunately in EU, due to some technical issues, the second quarterfinal game was postponed until Tuesday, 8/16 at 8AM PST. As a reminder, first place in the summer split will automatically qualify for Worlds, and the next spot will go to the team with the highest championship points. The final spot for Worlds will be determined at the NA and EU Regional Qualifiers, the winners of which will be the third seeds of their respective regions. 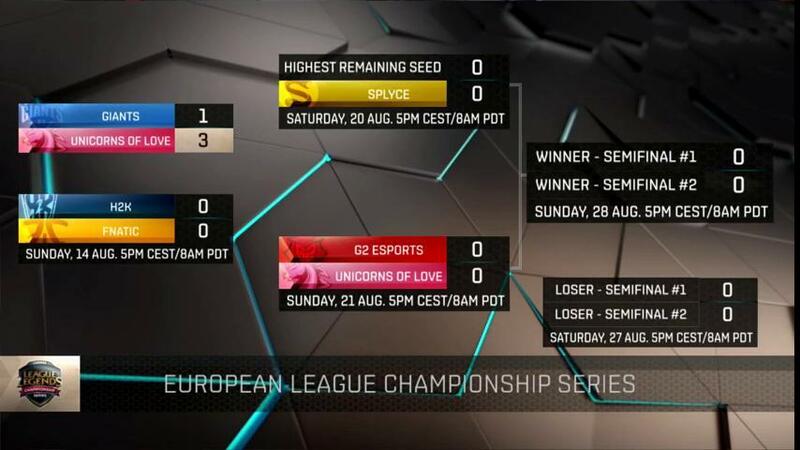 The brackets and standings below are up to date as of Sunday, August 14th and, as always, VODs can be found here. The EU Quarterfinals will finish Tuesday, August 16th due to technical difficulties. With several teams wrapping up their regional leagues this weekend, let's take a look at the teams currently headed to the IWC later this month - two of which will head to the 2016 WC later this year! The International Wildcard will run from 8/24 - 9/4! After being relegated to NACS, NRG has let all their players go, but are "working on a plan" to keep the team in League of Legends. Finals tickets went on sale AUGUST 10th!